In continuation to the revolution in the online payments industry in the country, PayU India launched its ‘LazyPay’ – a first-of-its kind premium deferral payment facility for consumers, on April 5, 2017. It is a product aimed at those who transact digitally for any amount between INR 500 and 2500, and is an option to pay later. The aim of the product is to drive faster purchase experiences and convenience by reducing friction on online checkouts and achieving a zero drop situation for online payments. It is a convenience product for anyone to pay later and the facility could extend for amounts from INR 3,000 and even up to INR 10,000, depending upon customer behaviour. LazyPay appears as a payment option at the time of checkout on websites and apps integrating the product. It provides users a deferral payment facility for 15 days with a transaction limit decided as per the purchasing behavior of every individual. Select consumers can now simply shop via LazyPay and conveniently settle the dues during the payment cycle instead of having to feed in card details or net banking credentials. This further makes the transactions smooth and seamless without transaction failures, need for passwords, etc. “In 2015, $ 4.4 bn revenue was lost due to 20 - 30% of transactions failing at the payment page. Hence, there was a need for a product which is faster and can give higher conversions. 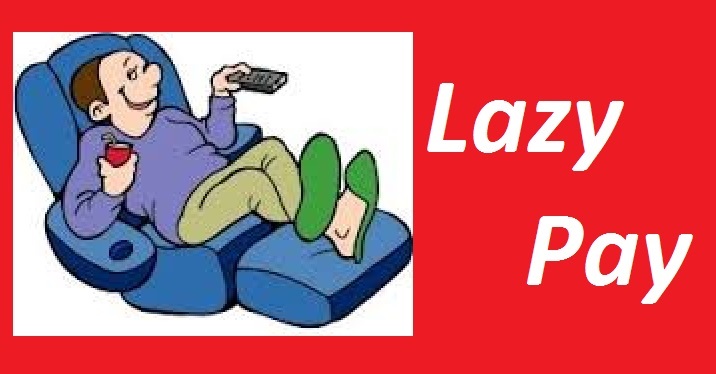 LazyPay is simply a premium experience to fast forward consumer purchases. We want to provide users a privileged experience for payments, just like frequent flyers would experience privileges while checking-in at airports. We aim to recreate the kirana store experience where a shop owner allows you to take products home and pay later because he is acquainted with you,” he further added. The pilot for LazyPay went live in March 2017 and the initial response has been very encouraging. Within a month, LazyPay has 5 big merchants and more than 12 smaller merchants onboard including Zomato, Box8, Jazz Cinemas, Netmeds and Innerchef. The product has already clocked over 5,000 transactions with average ticket size of INR 600-650. In addition to this, 20% of the customers have done 2 or more transactions so far. This outcome has been achieved without any marketing. In the range of INR 500 - 2500, consumers generally pay online for movie tickets, food, groceries, small bills (phone, electricity, water or DTH), etc. The platform pre-decides whether online user is eligible for a LazyPay transaction. Users are selected based on a trust score, which is computed basis their online transaction purchases and rewarded with this premium experience accordingly. More than 10 million users have been qualified for LazyPay so far and the system is equipped with algorithms that will write off debts in real time. The said algorithms put in place for dynamic, real-time underwriting, are based on 80-odd variables. Proactive analytics and machine learning algorithms are a part of the internal architecture. PayU India plans to invest USD 50 million in LazyPay over the next couple of years. The company aims to get over 5 mm users onboard in the next one year. PayU India has largest merchant distribution network in the online payment space, which it will utilize for expansion. PayU is the leading online payment service provider in 16 high growth markets, dedicated to creating a fast, simple and efficient payment process for merchants and buyers. Our various payment methods and PCI certified platforms are designed to meet every consumer’s needs. In India, PayU covers nearly 60% of the entire ecommerce and processes over 40,000 crores of Digital payments in Indiaannually. PayUBiz is the industry leading payment service provider and its clientele includes the likes of Jet Airways, Amazon, Airtel, Snapdeal, Jabong, Ola, Bookmyshow, Insurance companies and many more. PayUIndia also has under its aegis PayUmoney, the fast, easy and secure payment solution which can be used by anyone who wants to collect payments in India (be it Individuals, brick & mortar businesses, startups, Freelancers, Schools, Hotels, Utility companies, Residential societies, Telcos, Insurance companies, traders, retailers etc). The solution is presently used by over 2,00,000+ merchants all across India. transformations in the Indian financial services space.